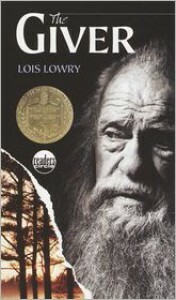 I've been seeing The Giver ever since I was in high school but I haven't really given any thought on reading this book. I can say that the reason behind it is because I wasn't particularly enticed by the book cover. I could even remember a time back then when an aunt of mine asked me if I have a copy of The Giver, which my answer was obviously "No". After reading this today, I briefly became angry with myself because WHY THE HELL DID I NOT READ THIS BEFORE???? The book started with Jonas, the protagonist of this book, feeling apprehensive about the upcoming event which was an annual Ceremony on the month of December that includes the Naming (wherein "newchildren" will be assigned to their respective "units") and the Ceremony of One up to Twelve (which represents the children's age) with matching rituals, symbolisms and/or new roles to play in the community. Jonas was specifically dreading the Ceremony of Twelve wherein their group will be assigned to different roles/jobs in the community and would train from then on by the Committee of Elders who has meticulously observed every child in the community to know what lies ahead for the future Twelves. The book sounds dystopian right? Well, yes, you're right but unlike other dystopian novels like The Hunger Games wherein there was torment, destruction and unhappiness, every bit from the story gave way to the notion that they were living in a world/community of utopia. A place where there's only serenity and harmony. A place where people felt no real pain. A place where people have no recall of the past and everything alongside it. But with that monotonous order and peacefulness implies that there are so much that the people have been neglected of experiencing and feeling. People had no memories of the past. Only The Giver has them. That's what makes it dystopia. Who would have liked to live in a colorless and painless world right? That would have been excruciatingly BORING. Dull. Gray. Jonas learned more of the truth and the horrors and beauty behind it. He started to really "feel" which I thought was beautiful. It was as if I was witnessing a small child learning his way to the world.